Our team has been active with the TED and TEDx community. 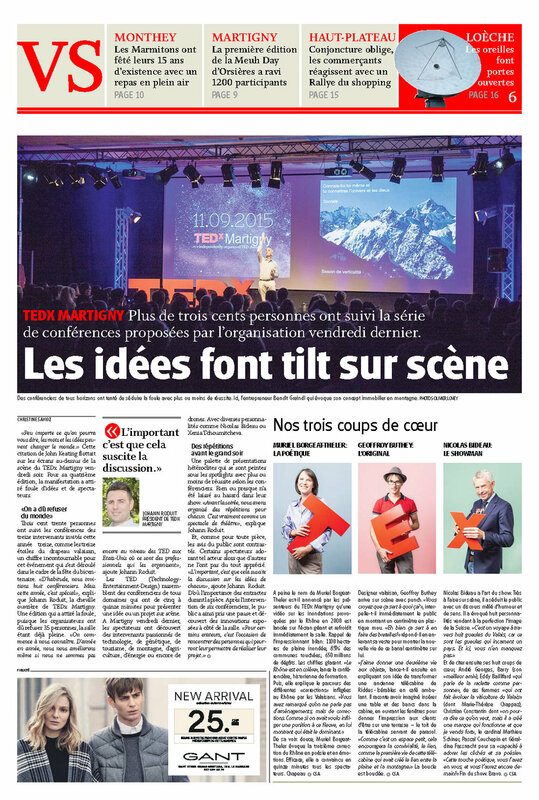 Since 2012, we have been involved in organising TEDx in Martigny (Switzerland). In 2016, we started helping TEDxAbbotsford (Canada), and we are currently looking for venues for a TEDx in a new town. We have participated in others TED events, such as TEDActive, TEDGlobal, and TEDSummit, and we have helped TEDxLesRochesHotelSchool. TEDxMartigny received the 2015 Award from the State of Valais for the organization of their event, as part of the celebration of the bicentenary of the entrance of Valais in the Swiss Confederation. TEDxMartigny is one of the best initiative to share and discover new ideas. Today, Martigny is the center of the world. Diverse speakers: Olympic champion, former president of Switzerland, adventurer, etc.